Keeping up with school events and deadlines is an important part of maintaining order in the whirlwind of high school. To keep this order and stay organized, schools help students by communicating upcoming events through public announcements, as well as news apps. In this age of technological progress, La Cañada High School has not fallen behind. The new, more effective way to deliver news is here with the Spartan Connect app. This app was created by young student visionaries who sought to rectify a flaw in the system. Previously, the announcements were publicly stated over the loudspeaker, which was inaudible or unclear to many classrooms on campus. Also, it did not grasp the attention of many students. Even when the announcements could be heard, many students did not bother to listen to the long, routine broadcast because a majority of what was said did not apply to them. For example, the news for junior high students was not necessary information for high schoolers to know. The new Spartan App is tailored to the specific needs of the students and they can choose to view only the information that pertains to them. Spartan Connect is a more effective way and navigable way of delivering news. It is available free of charge on both iPhones and Android devices, and it only requires a minimal storage of around 30 megabytes. 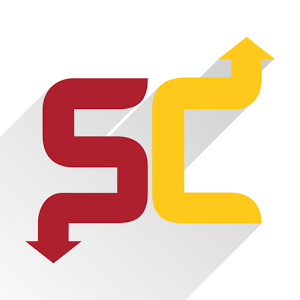 Students who do not own a smartphone can get the same information on the Spartan Connect website. The fact that students launched this app is admirable and inspiring. It encourages other students to stand up for issues that they feel need resolving or adjusting, and to come together and make a difference. The team included: Lucas Cardell (class of ‘16), Harry Coleman (11), Justin Hyon (11), Rucha Kadam (11), Jeffrey Kauffman (11), Nicholas Lysek (12), Kevin Mo (11), Jon Potter (11), Sandro Del Rivo (11), Kamyar Salahi (11), and Andre der Sarkissian (12). Tobias and Jamie Lewsadder, the LCUSD Directors of Technology, along with the technology department, also helped the program come to fruition. Even though there are still some kinks that the team is working on, this app has the ability to evolve into something great that all students can utilize, and it is well on its way to reaching this goal. 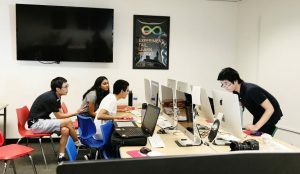 Spartan Connect is a great example of the power and potential of students at La Cañada High School and what we can accomplish.